This book was designed and hand bound for Jim Stephenson as something to sent out to new clients. When we initially talked about this project it was mentioned that the end result should stand out against any other mail, make people curious as well as be playful. 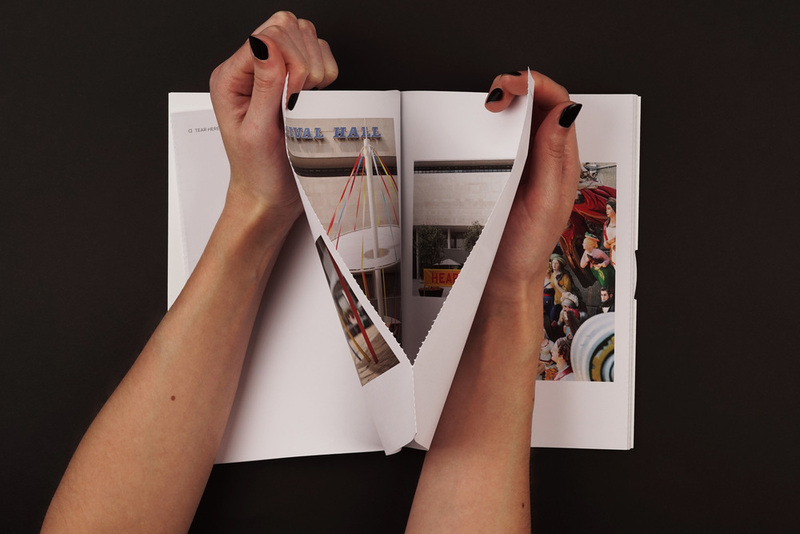 The book consists of perforated pages that conceal the majority of the photos, making the viewer have to hunt out the content. 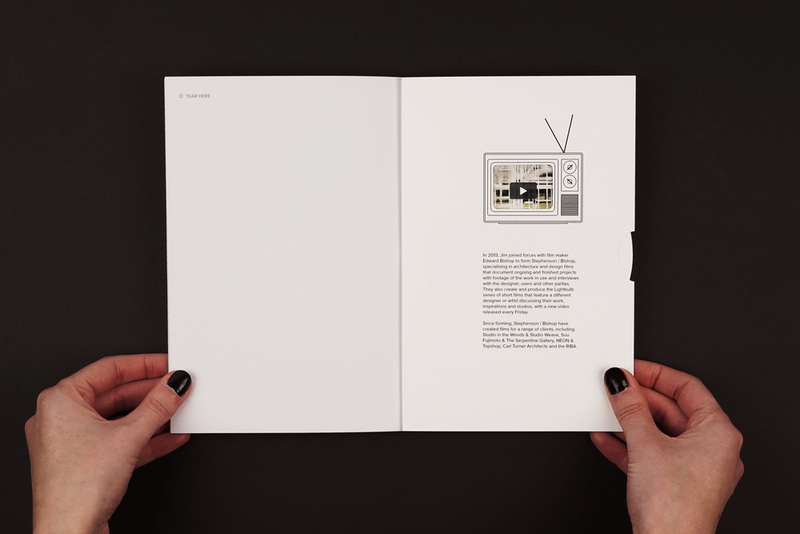 The first page reveals a pop up version of Jim’s logo and the final page contains a paper wheel which encourages the viewer to take a look at the videos Jim has worked on as part of his Stephenson/Bishop project. As well as the design Stanley James Press hand bound these books, hand made the pop up and paper mechanics and letterpress printed the cover. Find out more about this project and see a video here.